Even if your basic Texas health insurance plan offer coverage for routine eye examinations, a Group Vision Insurance plan is inexpensive to offer your employees and can cover benefits for the exam, frames, lenses or contact lenses, upgrades, and safety glasses. 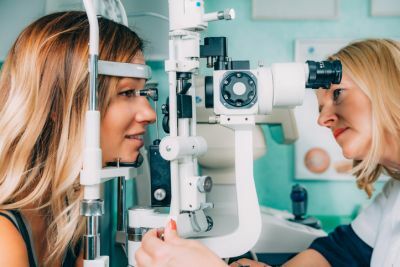 Not only do many employees need glasses or contacts to correct and enhance their vision, but regular eye exams can detect diseases like glaucoma, diabetes, and blindness issues. With many of the Texas vision plans available today, the member can visit either a provider of their choice or go to a provider in the network to save on out-of-pocket expenses. The large networks include private practice doctors and retailers, so finding a provider close by should be easy. Morgan Insurance Agency, LTD can help your employees maintain their eye health and vision by adding a Group Vision insurance plan today! There are many affordable plans for you to choose from, so you can get the best possible coverage no matter how many employees you have.